More and more surveys are coming out showing how Radio stations are slowly losing their audience. The latest reports out of Edison Research shows that podcast consumption rose 18% over the Spring. Tom Webster will be presenting a session covering these stats in depth. When I talk to former DJs – now podcasters, I’m amazed at the shackles that these talented people have had to wear while trying to be entertaining. They have to hit traffic and weather on the tens, and don’t forget that it is “Wild and Whacky Wednesday.” One DJ explained how they had 20 seconds to get in, make a point, be entertaining, and get back to the music/advertising. With this in mind, think about how freeing it must be to come from a radio background into podcast. It must feel like a million pounds being taken off your back. Mark Ramsey is THE guy when it comes to talking about Radio and how it is (or is not) keeping it’s share of listeners, it’s future and more. Now you might be thinking, “Radio?, this is a podcasting event.” Realize everyone behind the microphone is a content creator. Because of Mark’s extensive history he is well aware of the differences between Radio and Podcasting. At NMX, Mark will be presenting a session titled, “7 Radio Lessons that Can Transform your Podcast.” As Mark as his ear to the ground and paying attention to all media types if you’re attending this session you better have a new pad and a sharp pencil. 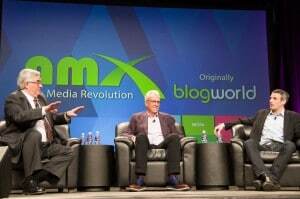 When I spoke with Mark on the phone, I think we could’ve given him about 4 sessions at NMX as he is just a fountain of knowledge, insight, and experience. You want to circle his 7 Radio lessons that can transform your podcast session. Mark has consulted with and delivered projects for numerous media, publishing, and digital brands over his career, including Apple, iHeartMedia (Clear Channel), Pandora, CBS, Bonneville, Sirius XM, U-T San Diego, EA Sports, and more. 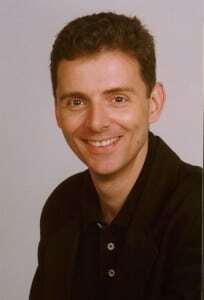 Mark has a full understanding of the audio consuming audience and will be sharing it at the event. Check out Mark’s podcast Media Unplugged with insights into the media. 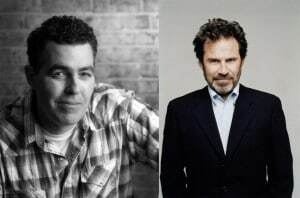 A new podcast with two comedic legends launched this week: PO’d Cast with Dennis Miller and Adam Carolla. In the episode entitled “Welcome,” Dennis explains how he got his start in comedy, while Adam discusses being a dad to twins. Look for both Adam Carolla and Dennis Miller at NMX. Adam is participating in a keynote with Podcast One’s Norm Pattiz, while Dennis is co-hosting the 10th Annual Podcast Awards with Emily Morse. As podcasting gets hotter and hotter, you want to jump in as soon as you can, and get going in the right direction. We have assembled the best presenters with the best subjects to help you launch your own podcast. We are very proud to announce that as part of the 10th annual People’s Choice Podcast Awards Ceremony we will include our first ever class of inductees into the Podcasting Hall of Fame. 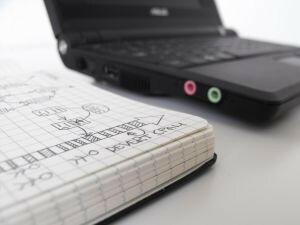 In a year of big news for #NMX we think this is HUGE NEWS! On April 14th 2015 we will induct the first class of honorees into The Podcasting Hall of Fame at the Podcast Awards Show. The event will be held at the Westgate Resort & Casino in Las Vegas Nevada as part of New Media Expo #NMX side-by-side with the NAB Show. and NAB Show. Longtime Podcasting veteran and pioneer Rob Greenlee was announced as the new CTO for PodcastOne this morning. Rob has been a long time friend of and speaker at New Media Expo. Rob Greenlee has spent the last seven years overseeing the video and audio podcasts platform at Xbox Live, Windows Phone, and Zune as well as managing the business, content partner relations, around the podcasts platform service for Microsoft. Radio should be afraid of staying the course. #nmx opening comment from morning keynote on the future of podcasting. @PodcastOne founder Norm Pattiz at #NMX:If I were Howard Stern, I would go to a subscription #podcasting model. Emulate #GlennBeck model. PodcastOne’s hiring of Rob Greenlee today is evidence that they are indeed looking to the future of podcasting. Congrats to all of the nominees and winners – and thank you to all the fans out there who voted!!! 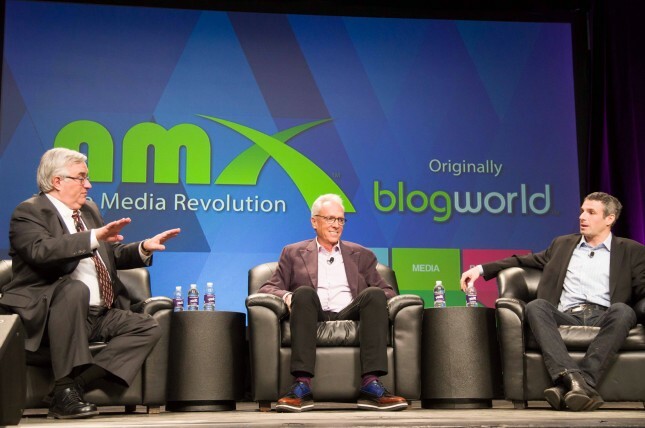 Today, we have an incredible opportunities for podcasters at NMX. If you’ve been on the fence about buying a ticket to the show, this is an opportunity we don’t think you’ll be able to refuse. Grab your ticket now to be part of the first documentary about podcasting. Mark Ramsey has been podcasting since 2006, the audio and video shows, Tasty Logic, Pigskin Radio, The Tech Tards Show and starting in February 2014, ATX Talk. 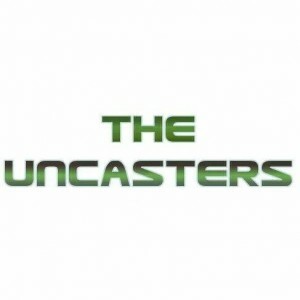 In October he started shooting a podcasting documentary film called The Uncasters. He will be at New Media Expo on Sunday January 5, in a booth on the show floor shooting footage for the film. He is looking to talk with podcasters famous and not so famous. Don’t miss this opportunity to possibly be in the first documentary about podcasting. You could be part of history! Submit your show and why you should be interviewed for the documentary over at http://uncasters.com/ and remember – this is an opportunity only available to registered attendees, so if you want to part of this exciting film, you need to be registered. Erik Fisher and I are back with another episode of The Podcast Report, the podcast devoted to the Podcasting Track of New Media Expo. In this episode, Erik and I review the sessions that are coming to the Podcasting Track for New Media Expo. Also, we are joined by Renee Chambliss to review some of the amazing sessions that are going to be put together by members of the Fiction Podcasting Community! I’m especially excited about the three live fiction podcast with full drama narration that will be created during the conference as well as the amazing session on Making Audio Books with Audible’s Audiobook Creation Exchange. If you have an interest in promoting NMX to your audience, we have created a professionally produced promo that you can play on your podcast. This is a great way to encourage your community to come meet you, face to face, at this event. In this episode, Erik and I are joined by Rick Calvert, CEO & Co-Founder of New Media Expo. The three of us discuss the Cyber Monday offer, the 9th Annual Podcast Awards, and many other items that are going to make this the best Podcasting Track ever. In this episode, Erik and I are joined by Pat Flynn from SmartPassiveIncome.com. The three of us simply share an impromptu conversation which actually does get around to podcasting.